One of Metrowests finest builders has combined timeless design and quality craftsmanship to create this superior shingle style home. Currently in its final construction stage, this stylish, custom home is luxurious in scale and sensational in detail. Ample windows allow light to flood in from all directions. The superb layout is intelligently designed for grand entertaining with an open floor plan. Enjoy the peaceful, country setting and just a short distance to Weston Town Center and the Commuter Rail. 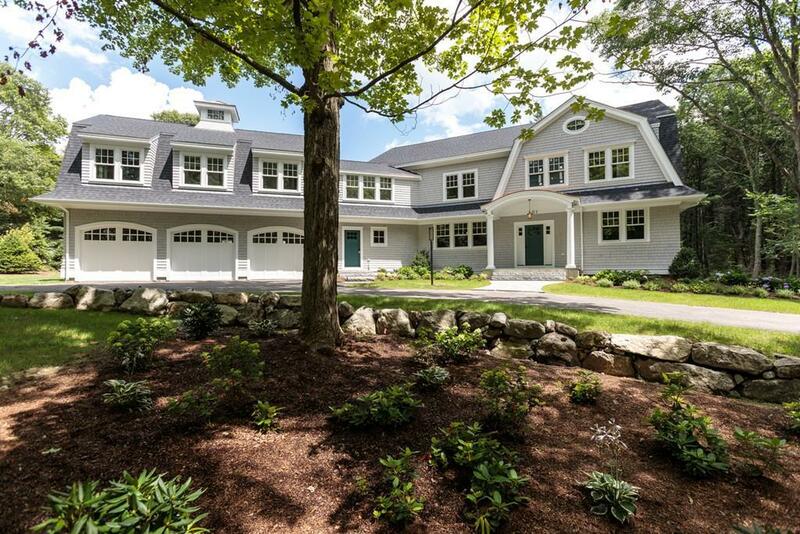 Listing courtesy of Elise Siebert of Benoit Mizner Simon & Co. - 420A Boston Post Road Sudbury. Disclosures Well Water For irrigation. Listing provided courtesy of Elise Siebert of Benoit Mizner Simon & Co. - 420A Boston Post Road Sudbury.